Welcome to free Reset Code Service. If you are looking for reset unlock code to reset your Nokia mobile, then you have come to right place. because we offer free Nokia reset code service all over the world. A great news for all Nokia phone users is – from now on you can reset all Nokia mobile by using one way. In this tutorial, I shall discuss with you about that way. I think all Nokia users should know this way. All Nokia mobiles default security code/password or all Nokia mobiles master reset code is “12345”. We should not keep this password. We should change the password for our security reason. We should know unlock code our phone. Before discussing this tutorial, we should know as well about password or reset code. So I will request you to read attentively because if you neglect any step, you will fail to unlock your reset code. Now I will show you " How to free reset code all Nokia mobile's". I will request to all the readers of my website, please try to follow every step of all the tutorial to get better results. So I am here to help Fallow these quick steps and you will be able to unlock your phone in no time. Always use this method carefully step by step. Do not neglect any step for resetting your Nokia phone because it can completely damage your phone. I think I have discussed this method in this tutorial very effectively and this method will work 100%. So don’t be fear. Always remember that when you are entering these unlock codes, you only have for changes, otherwise, your phone could permanently lock. This code may perform a phone reset. Please make sure your phone book is backed up before entering any codes. We are NOT responsible for any damage to your mobile phone. We advised you to keep back up your phone settings before trying these codes. Save all phone numbers, important message and other information to the sim or memory card etc. Some phones clear the phone memory when it reset. I will request to all the readers of my website, please try to follow every step of all the tutorial to get better results. So read, learn, apply and enjoy……..
How to master reset/flash Nokia security code without cable and software? 1. Reset code Nokia by Using Security Code. 1. At first, I shall discuss security code system. Step 1: just Dial: *#7370# after dialling this code, your phone will ask security code/password. After dialling this code, It will take a few minutes to master reset. then the phone will automatically reboot/restart. Now your phone is ready to use. Step 1: Just Dial: *#7780# for settings only. After dialling this code, your phone will ask security code/password. After dialling this code, It will take a few minutes to Master reset. After reset, the phone will automatically restart. Now your phone is ready to use. To Reset All settings (in this system your data will delete from your phone) please follow this system step by step. Step 1: Go to settings menu and select - Rest.fact.sett. Thanks for reading this post. If this post helps you please comment and share it with your friends…. Don’t forget to share this on social media. If you fail to apply this process or if you failed to reset code your phone, then please apply this steps under below. It’s a great problem for us when we lost our mobile phones password. Because We cannot unlock the phone. So It’s an important thing to know how to unlock the phone or to know. How to read cell phones existing unlock reset code or password. How to read cell phones existing unlock code. Step: 1. Connect your phone in PC Suite mode. Step: 2. Open Nemesis Service suite (NSS). Step: 3. Then click on for new devices button (top right-hand side). Step: 4. Click on phone info button. Step: 5. Now Click on Scan. Step: 6. Select Permanent Memory. Step: 7. Click on Read. Step: 8. It will read the permanent memory file and save it on the disk at following path. C:\Program Files\NSS\Backup\pm\.pm Unlock / Reset Nokia Security Code. Step: 9. Open the pm file using Notepad. Step: 10. Now scroll until field , and on the 5th Record (5=) your security code is saved at there. Step: 13. 11111 is your security code. Step: 8. It will read the permanent memory file and save it on the disk at following path. Step: 9. Open the .pm file using Notepad. Alternatively, you can read the PM file with Nokia BB5 PM Security Code. Please don’t forget to share with your friends on FACEBOOK, TWITTER. Dear visitors, If you fill any kind of problems please write to me by comments, I shall try to help you as soon as possible to reset code your Nokia phone. This is a very effective tutorial "How to Unlock Nokia Security Code" Thanks for this tutorial. Thanks for reading. Here is a another way to Reset or change your Nokia forget password for free. So enjoy. Thanks for creating this Excellent blog. I want to add more essential security code for nokia mobile phone. Thanks for your valuable comments on Nokia master reset code. 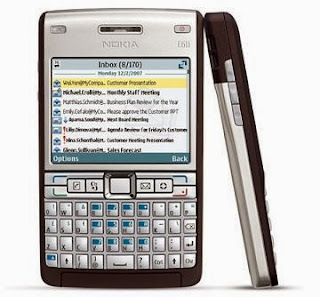 it will work for nokia x2-01 qwerty?? i can't loge in.when i turn on my Nokia x2 phone it ask security code i almost changed before now i forget it pleas....... help me. I think you have installation problems or cable connect problems. Please re-install all the software and connect properly your mobile with the PC and try again. I have nokia x2-01, the phone is already locked so i cant use this method bcos the phone will not connect in pc suite mode.pls any other method to use to unlock the forgotten password? I have same problem that i cant connect my Nokia X2-01 with nokia pc suite because it is already locked. I cant find the .pm file in its designated folder. Any help on that? I will suggest you to try again. Please note that this formula will not work if your phone is not original nokia. Sorry I cannot help you in this case because you have hardware problems. I have show you t system - you can try manual system. Excellent man. The best one that worked so far. It really helped a lot. But only problem is that, we must be able to connect phone in PC Suite mode. What if phone is already locked? How to check or reset security code then. If you be able to provide that technique also, it will be much more helpful. Anyways KUDOS to your blog mate. Just when am switch on my Nokia E5-00 it ask me lock code and i forgot it. How can i get into my phone with this code in here? im using the nemesis but i have an error. why is that happen ? thank you! How do I hard reset nokia x2-01? I have this phone I have not use in awhile. When I turn it on, it asks the security code which I can't remember. Please advise. on your web-site annd also get involpved in visitors' comments like this. it іs complex tо write.